ANIVRAM REPRESENTING SNEAKER CULTURE: Nike Quickstrike "Spike Lee Pack"
This year marks 20 years since the release of the classic film, 'Do The Right Thing' by Spike Lee. Although Jordan Brand has honored Spike many times in the past, Nike for the first time also is releasing a pack to honor the acclaimed director. Some of you may remember the earlier release of the "Do The Right Thing" Pack released by Jordan Brand in early July shown here. However, that's not what we are focusing on today. This second pack features a Nike Big High and a Nike Blazer High. 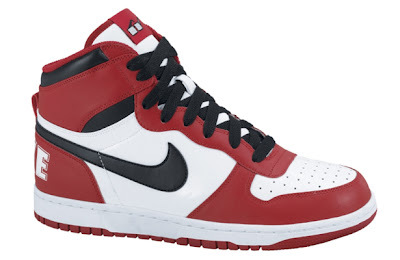 The Nike Big Nike High is in a classic red/black/white colorway that bears striking resemblance to the colorway of the Chicago Bulls. 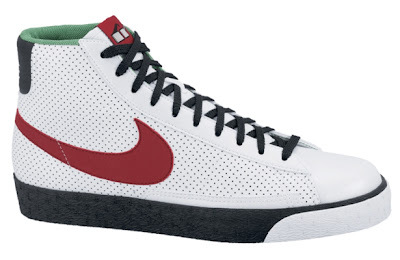 The Nike Blazer High is a white/black/red/green colorway that brings to mind Sal's Pizza Shop in "Do The Right Thing." Both sneakers also feature a tongue tag with glasses. Sneakers are serious business just like the clip above shows, and this pack is too. In case you were wondering, this IS a Quickstrike. No release date has been announced yet but keep your eyes peeled for the release of this sneaker!